To reach the resort, fly into Velana International Airport (MLE). From here, resort staff will greet you and take you aboard a 30-minute seaplane ride. For a truly personal experience, guests can charter their own private seaplane from Malé. 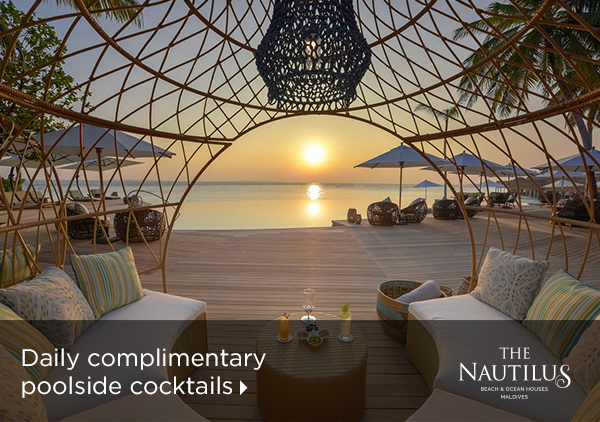 A celebration of the individual spirit, The Nautilus gives you space – to share, to meet and to be yourself. And, most of all, to celebrate the people you’re with, in any way you choose. Inspired by the enduring form of the nautilus shell, each of the 26 houses and residences is a unique and sophisticated escape. Curved lines and spiralled elements echo throughout the design, while hand-picked decor creates a calm and laid-back atmosphere. Whether you opt for one of the beach houses or residences set on silvery sands, or choose to stay amidst turquoise waters in one of the ocean houses or residences, abundant space, personalized butler service and a private pool awaits. 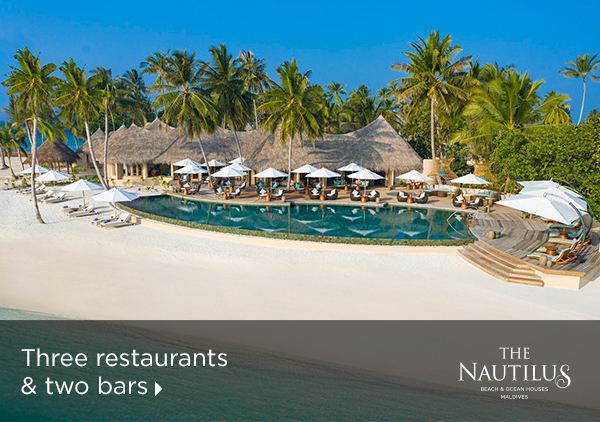 Surrounded by serene and sparkling seas, this Maldives luxury hotel is a natural haven of wellness. Solasta Spa specializes in the bespoke, designing wellness programs and daily rituals that refresh and relax, pamper and protect. Join a complimentary wellness class or enjoy unlimited daily yoga and meditation classes. 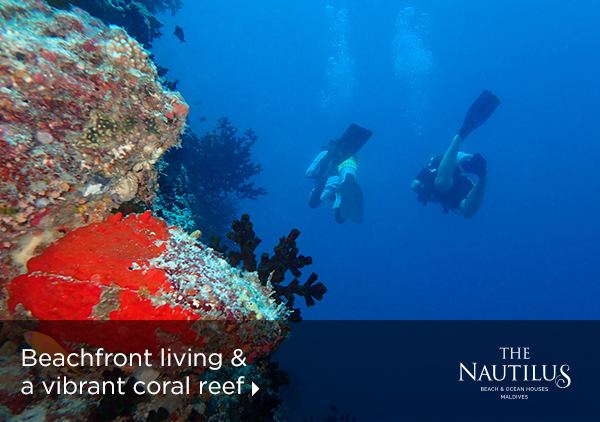 Whether marvelling at the house reef at the edge of the lagoon, or diving into the world-renowned Hanifaru Bay and swimming amongst whale sharks and whirling manta rays, your adventure of discovery begins the moment you arrive here. 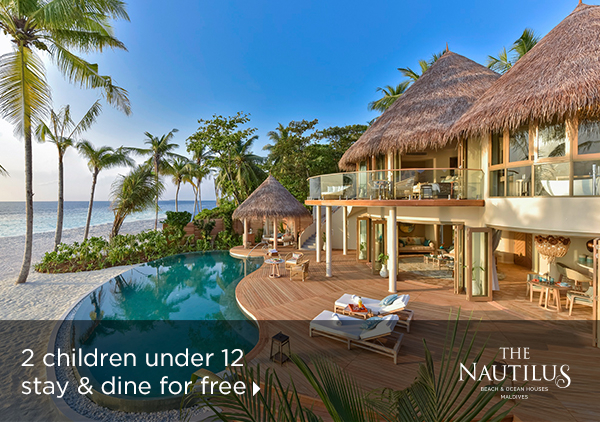 Send an availability request with your requested dates to the The Nautilus Maldives. Features King beds, ocean views, separate bath and shower, living room and private pool. 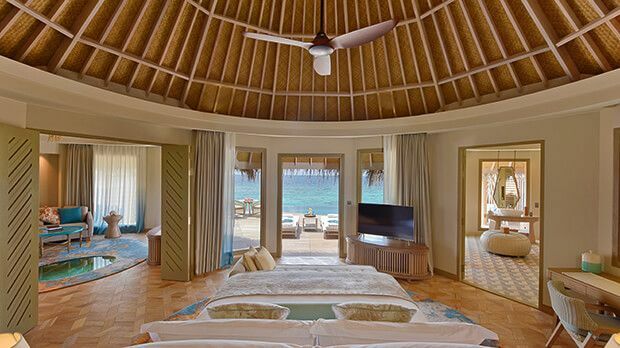 Features King beds, living and dining areas, private pool and overwater ocean views. Features King beds, separate living and dining areas, private pool and ocean views.